According to the FBI, juvenile fire setters account for nearly half of all the arson cases in the US. In 2003, 51% of those arrested were under 18, nearly one third were under the age of 15, and 3% were under the age of 10. 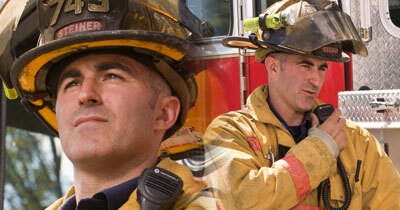 Three hundred deaths, 2000 injuries and $300 million in damage are caused just by juvenile fire setters. A behavior that includes starting fires in younger years can be a precursor for a crime of arson later in their life. 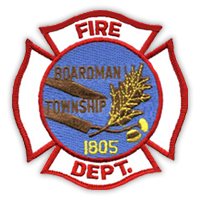 To stop a juvenile from doing this again the Boardman Fire Department sponsors a Juvenile Fire Setter program. The program begins with setting up an interview in which firefighters to sit down with the juvenile and his or her family to discuss what happened, why it happened and why it shouldn’t happen again. Then sessions are added for the juvenile only with the firefighters to watch videos, discuss and reinforce the message that setting fire is bad. Once the juvenile completes the sessions, he or she will be given a tour of the fire station to give him/her a better understanding of the fire service. Finally, the juvenile will receive a certificate of completion from this program. For additional information about the Juvenile Fire Starters program, contact Vickie Davis at 330-726-4199.